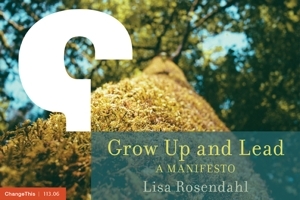 Lisa Rosendahl — You Have a Leak - Yikes! I left for a long weekend last Thursday with this message - too much personal health information is being released by HR staff. Whoa, can't have that happen so inquisitive minds wanted to know. I asked, Who told you that? Can't tell you. Ok, what type of information was shared? Don't know. Who was it shared about? Can't say. When was it shared? Don't know. Is it one incident or more than one? Don't know, just stop the leaks and reemphasize confidentiality with your staff. Aaargh! I know my staff and am VERY comfortable with their respect for the privacy of the information we have access to - and we have a bunch. I am not one to "throw a grenade" and blast everyone in hopes I get the right person and really do not have the time, or interest, to entertain or adress such vague blasts. We routinely address confidentiality and will be doing so again shortly anyway. Coincidentally, I read a post from Evil HR Lady this morning that addresses confidentiality in HR. She posts so with a wit and directness that I find very refreshing. Also, coming back from the Canteen with my two egg and cheese sandwich this morning, I was walking behind two employees who were talking very openly, and not too quietly, in the very public medical center hallways about an upcoming surgey and family court issues. Leak? This was as wide open as it gets. The word gets out and people know things that probably they should not know, think they know things when they really do not or put 2 and 2 together and get 5. The grapevine is alive and strong. Let's think about sources of that information and not automatically, as a first thought, look to leaks in HR. Having said that, if the information did come from my department - I need the facts so I can address it because as the Evil HR Lady says in her post, "if you can't keep your mouth shut, you have no business being in HR."